Birmingham Royal Ballet (BRB) is honouring Britain's greatest playwright with a season of performances based on the bard's works. The season coincides with the 400 year anniversary since William Shakespeare's death and will feature seven works including a brand-new one-act ballet from Jessica Lang, a world premiere by David Bintley, and two pieces new to BRB that have been inspired by Shakespeare's stories, characters and prose. Romeo and Juliet, The Tempest, Midsummer Night's Dream, The Taming Of The Shrew and Shakespeare's poetry all get transformed through dance in the exciting new season that sees BRB perform seven ballets at 10 theatres with 80 performances in just one year. 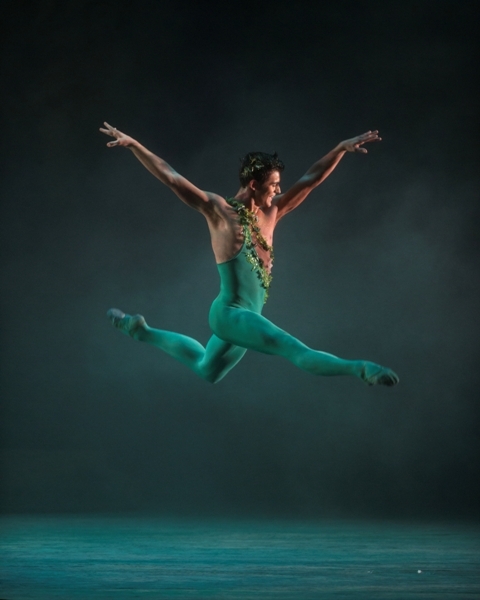 BRB's Shakespeare Season begins with a touch of magic and mayhem in a revival of Sir Frederick Ashton's interpretation of A Midsummer Night's Dream - titled The Dream. Set in a dramatic leafy forest, audiences will see love get out of hand for fairies and mortals alike in this classic production which was originally created in 1964 by Ashton to mark Shakespeare's birthday. The Dream plays alongside A Month in the Country in an Ashton Double Bill at Birmingham Hippodrome from February 17 to 20. For younger audiences, there will also be First Steps: The Dream on February 19, which is only one hour long and features an orchestra, dancers and also a storyteller so it is perfect for introducing children aged between three and seven to ballet. This costs £10 and will be repeated during the BRB tour at The Lowry in Salford on March 4 and Theatre Royal, Plymouth, on April 15. The season continues with Kenneth Macmillan's widely celebrated classic production of Romeo and Juliet, which is at Birmingham Hippodrome from February 24 to 27. Set to Prokofiev 's epic score, the tale of the passionate star-crossed lovers comes to life in this beautiful production featuring a stunning design recreating the grandeur and heat of Verona. The full production will also tour to The Lowry in Salford from March 2 to 5; Sunderland Empire from March 17 to 19; Nottingham Theatre Royal from March 30 to April 2; and Theatre Royal Plymouth from April 13 to 16. Following that tragic tale, BRB aim to lift spirits with the riotous comedy and battle of the sexes depicted in The Taming Of The Shrew. John Cranko's adaptation breathes new life into this wild and witty comedy that tells the story of the stubborn and tempestuous Kate and how her suitor Petruchio gets rather more than he bargained for when agreeing to their marriage. 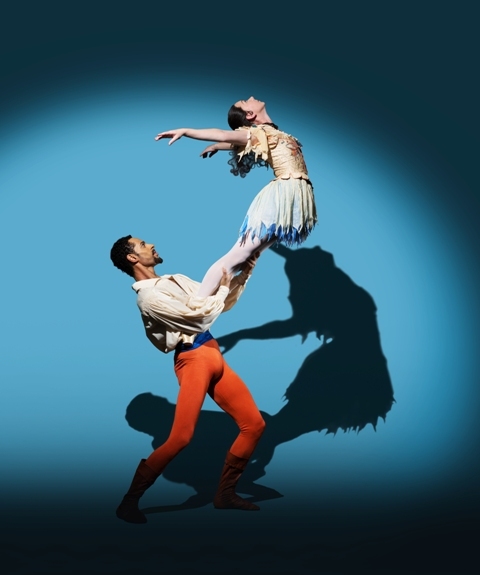 The Taming of the Shrew, which has been adapted many times including in films such as 10 Things I Hate About You starring Heath Ledger, see this new ballet version performed at Birmingham Hippodrome from June 16 to 18. The Taming of the Shrew will also play at Bristol Hippodrome from June 29 to July 2. Meanwhile, Jessica Lang's brand-new work for BRB is called Wink and inspired by the poetry of Shakespeare's sonnets. Wink receives its Birmingham premiere as part of the Shakespeare Triple Bill, performed at Birmingham Hippodrome from June 22 to 25. As part of the Shakespeare Triple Bill, Birmingham Royal Ballet also performs José Limón's The Moor's Pavane for the very first time - based on the tensions, drama and jealousy in Othello. The Triple Bill concludes with a celebration of some of Shakespeare's most famous and infamous characters such as Macbeth, Hamlet, Richard III and Bottom and Titania in David Bintley's The Shakespeare Suite. For audiences outside Birmingham, The Moor's Pavane and Wink will also be seen alongside excerpts from Romeo and Juliet, The Dream and The Taming of the Shrew in the Shakespeare Midscale Tour, which goes to the Gala Theatre, Durham from May 10 to 11; York Theatre Royal from May 13 to 14; and Theatre Severn in Shrewsbury from May 17 to 18. Birmingham Royal Ballet's 2016 Shakespeare season concludes with the world premiere of director David Bintley's new full-length ballet The Tempest in September 2016. This play is one of Shakespeare's most beloved narratives and this breathtaking production aims to bring that to life using theatrical wizardry and stunning designs by War Horse's Rae Smith. It is also set to a brand-new score by acclaimed British composer Sally Beamish. Tickets cost from £10, see the Hippodrome website or Birmingham Royal Ballet website. Theatre Royal Plymouth from April 13 to 16. Bristol Hippodrome from June 29 to July 2. Theatre Severn in Shrewsbury from May 17 to 18.